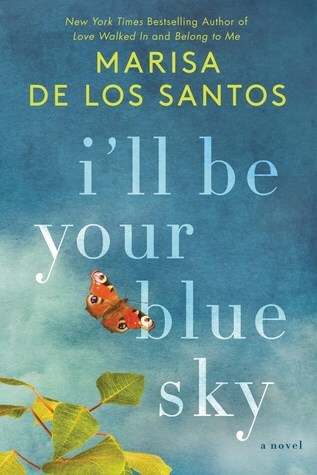 Author Marisa de los Santos joins us today to give us insight into the conception of her latest novel I'll Be Your Blue Sky. Ever since my second novel Belong to Me came out, I've had readers ask me if I were going to write about the characters from that book and Love Walked In---Claire, Cornelia, Dev, and the rest---again. Some of them actually skipped the "if I were going" part and filed requests, all a little differently worded, but all amounting to the same thing: more, please. This made me happy. Very happy. Of course, it did. Who wouldn't want to write into being characters that people missed after they finished the book? "More, please" meant readers loved my people, the ones I'd felt lucky to live with for two books, the ones who felt entirely real to me, and whom I loved, too. But the truth was, I didn't know if I'd get to write about them again. The Ideas for books have never felt generated by me; they have felt given to me, by whom or what I cannot say. So my answer to those kind of readers was always the same, "I would love that." Over time, I added this: "If I ever do write about those characters, I'll probably focus on the ones that are kids in the first two books: Clare and Dev." It sounds like maybe I knew that I'll Be Your Blue Sky would come into being or that I had a small seed of an Idea for this book taking root somewhere inside my imagination, even all those years ago. I don't think so, though. I think saying that about Clare and Dev was not so much an inkling or prediction as it was a hope. I hoped---hard and for years---that I would get to write a book about Clare and Dev. I would have been thrilled and honored to write more of Cornelia's story of of Teo's or even Lake's or Piper's (and maybe I still will; who knows?). If any of my adult characters had knocked on my door, I would have thrown it wide open. But while adult characters, no matter how old they are, have potential to change and grow and can be full of stories, child characters are pure potential. They are still mostly unformed, mostly mysteries. I wanted to know, there were moments when I was dying to know, who Clare and Dev would grow up to be. As weird as it sounds, even though I didn't have a single detail, I felt that they were out there, living their days hour by hour, studying, forging relationships, riding bikes, laughing, singing in the car, getting bad haircuts, reading books, stumbling, making stupid mistakes, hurting people and getting hurt, having moments of brilliance and bravery and disappointment. Growing up. And then, one day, there was Clare, with light on her brown hair, young but not a child anymore, herself but changed, looking a little bit like my daughter might look when she becomes an adult. Because this Clare who appeared was an adult. An adult tangled up in a mess---an extremely messy mess---of her own making. I didn't know much of her story, but I understood---in a great, glad, slightly vertiginous rush of understanding, like standing on a windy mountaintop---that I would know, eventually, and would spend my days inside of her days, with her, this girl I'd missed for so long. It was the best felling, that anticipation, the knowledge that I would get to tell her story. I can't wait for you to read it. You can connect with Marisa on both Facebook and Twitter. 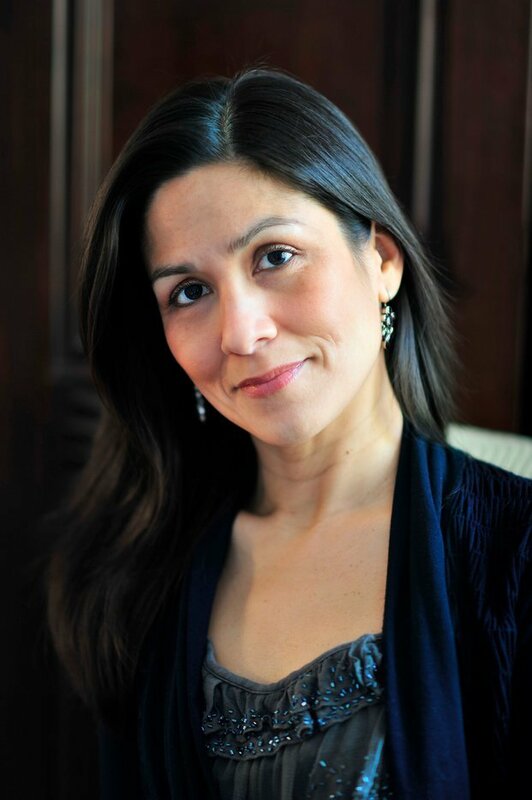 This entry was posted on Sunday, March 11, 2018 and is filed under Author Feature,Character Study,Fiction,Guest Post,I'll Be Your Blue Sky,Marisa de los Santos,William Morrow. You can follow any responses to this entry through the RSS 2.0. You can leave a response. I love when authors give my favorite characters a new life in a different book. It lets me get to know them better and spend more time with them. It is definitely fun to see how they grow!